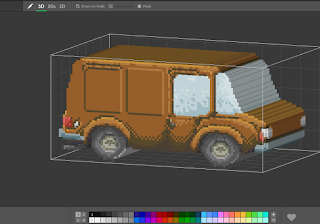 I continued my work on Voxels. I'm still not sure if it'll be useful in Cape Bleue, but I like this process, and I thought I could show it here. 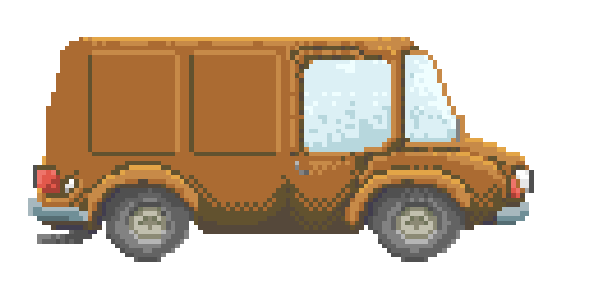 So I start with a small pixel art truck I draw a few weeks ago. I import it in Qubicle (I don't use MagicaVoxel anymore, it was a nice little soft but it lacks necessary functions like copy/paste or move) and extrude the form to the depth. 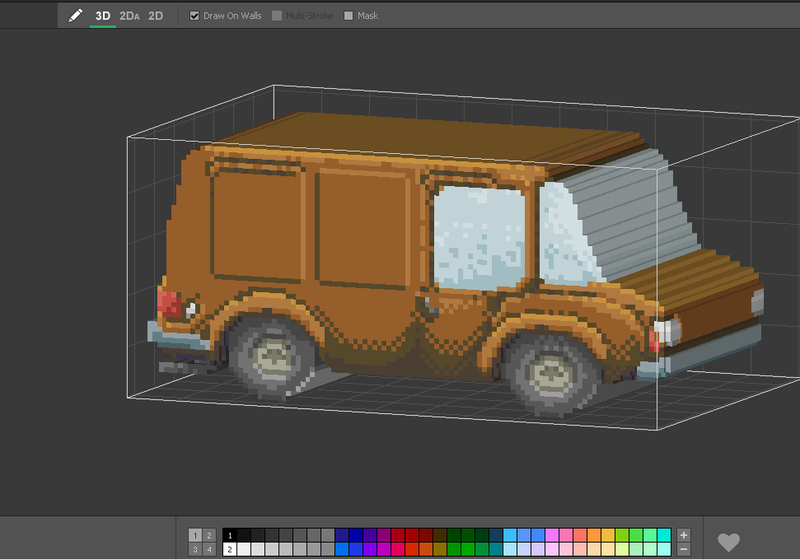 I won't explain the process again as it's quite simple (it's just doing pixel art in three dimensions) and I already did a quick explanation in a recent post. 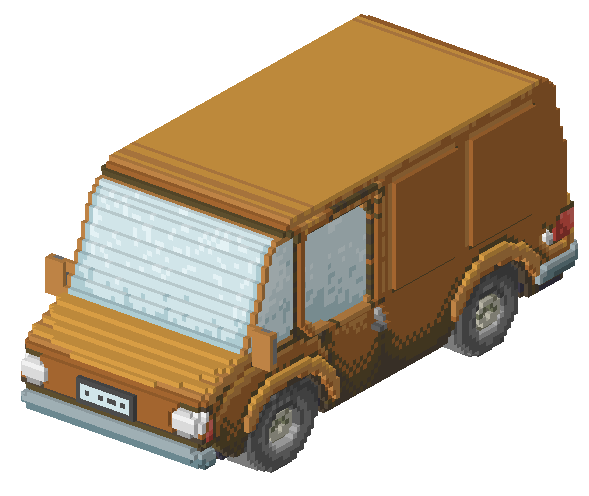 After some time sculpting it, I'm happy with the result. 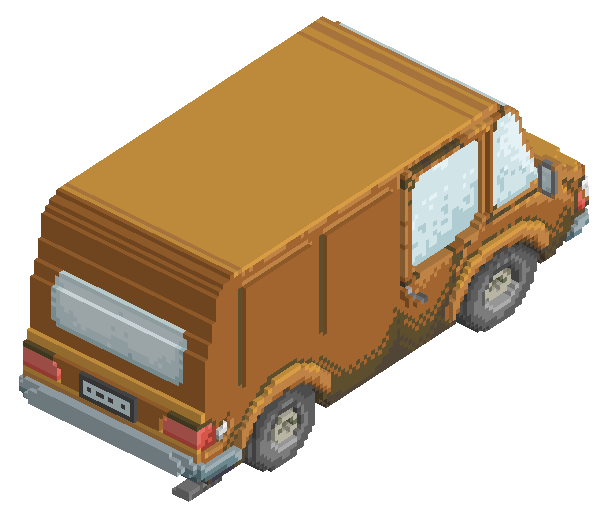 I think this render, for example, is a far better drawing than the one I did in pixelart. Hope you liked it, thanks for reading!